We are HUGE fans of the Clean Program. It’s not a juice cleanse or a quick fix diet like so many other “cleanses” out there. It’s three weeks of real food that not only resets your body, but teaches you so much about the appreciation for healthy eating. 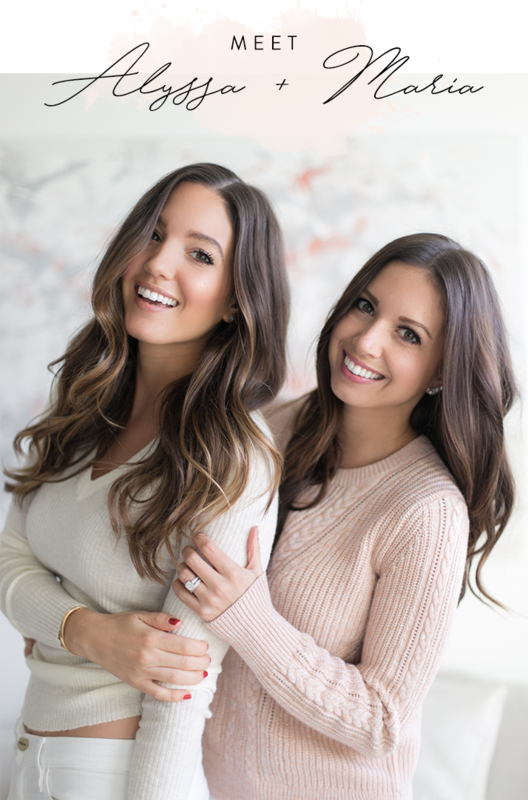 You also learn what your body tolerates and what it does not, often alleviating symptoms such as fatigue, digestive difficulty, bloating, mental fogginess, skin issues and extra weight. 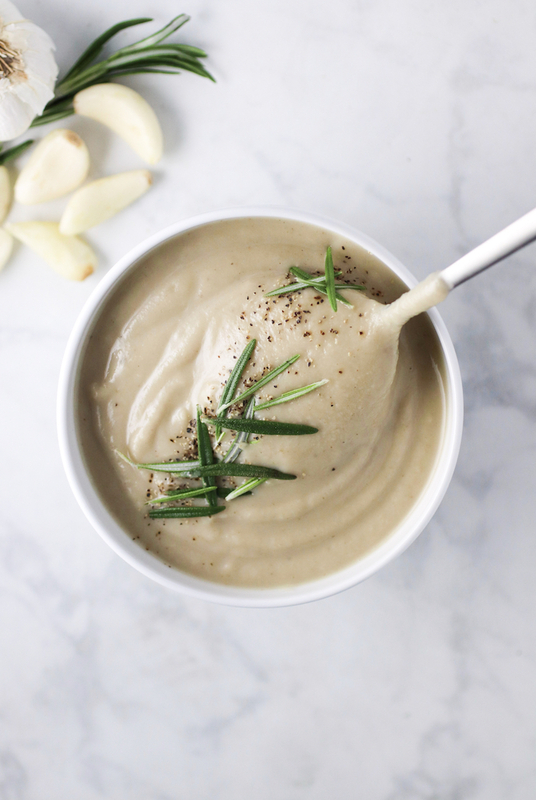 One thing I’ve picked up from the Clean Program is the appreciation for creamy, vegan vegetable soups. They are super healthy, loaded with nutrients, easier to digest and just plain cozy for winter! 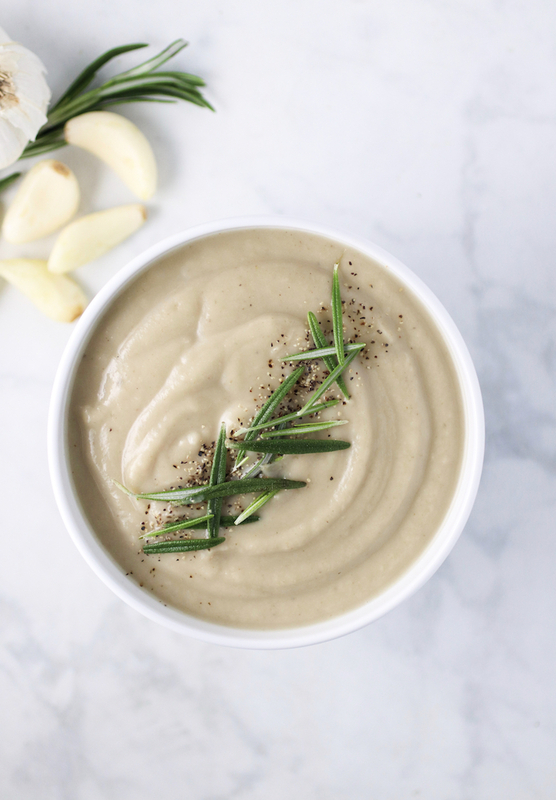 This Creamy Roasted Garlic and Cauliflower Soup recipe actually comes from our intern Lindsay (thanks girl!). It’s SO delicious and really easy to make. Also a great dinner for the Clean Program! Cut off the top of the head of garlic so the cloves are exposed and place in center of a baking sheet. Spread the cauliflower florets around the garlic. Drizzle the garlic head and then cauliflower with olive oil and then sprinkle with sea salt, pepper and rosemary. Wrap the garlic head in foil and roast everything in the oven for 30 minutes. When the roasting is complete, add a drizzle of olive oil to a large soup pot over medium heat. Add the diced onion and a dash of red pepper flakes and cook until clear. 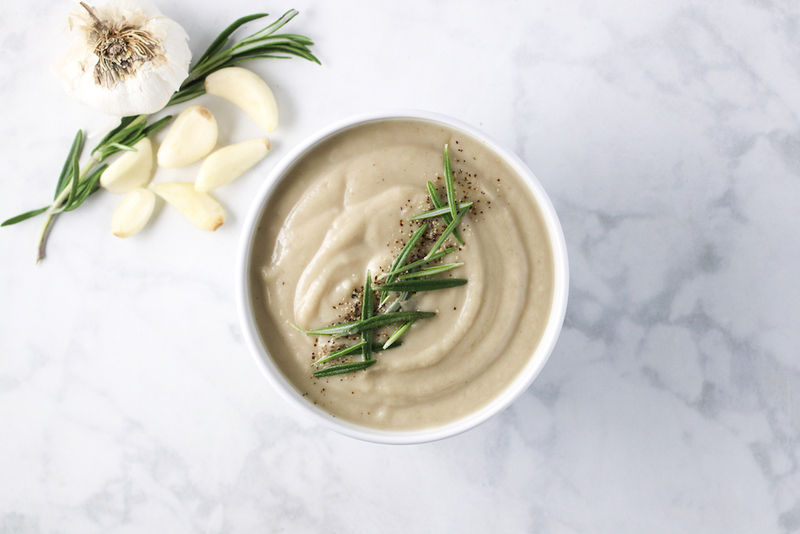 When the garlic head is cool enough to touch, remove the whole roasted garlic cloves and add them to the pot with the rosemary roasted cauliflower, 1 can of white beans, vegetable broth, and milk and bring to a boil. Add a dash of sea salt and pepper. 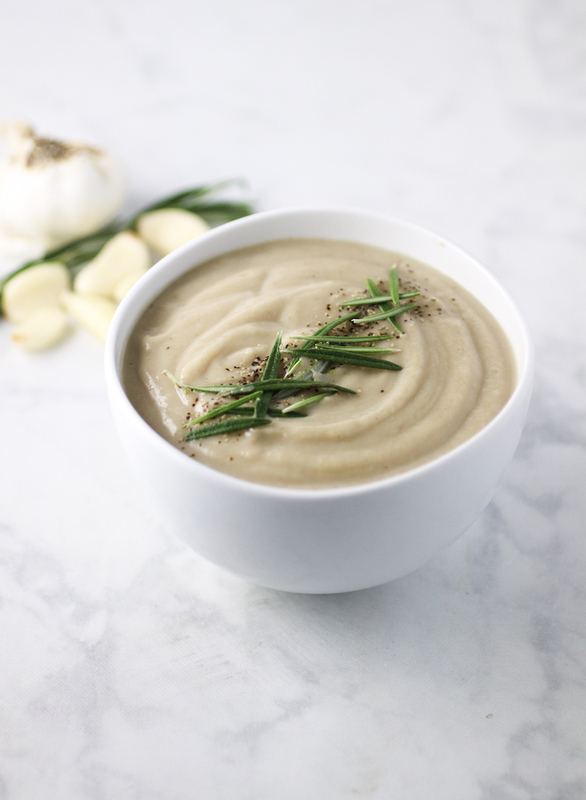 Use an immersion blender or actual blender to puree the soup until creamy. Add more milk to adjust consistency, if too thick. I have a similar recipe on my site…soooo goood! I love the white beans in there! Great ideas for protein and creaminess! This looks so creamy and delicious! A dinner that’s cozy and healthy is definitely a win-win! This soup will need to be mine very sOon. My fave! Okay, now this looks insanely good! So delicious + cozy for the cool weather. I love cauliflower and garlic is so good for you! Thank you for the recipe, as it will be put to some very good use very soon!!! This almost looks to pretty to eat! I love love love the combination, so flavorful! What a lovely puree! And I love that you blended in beans for protein and texture. Love this! Is it possible to see a fell nutrition list? Im really watching a few things! Thank you. Hi Peg! I would suggest plugging the ingredients into myfitnesspal.com and it will give you all the nutrition info you need!